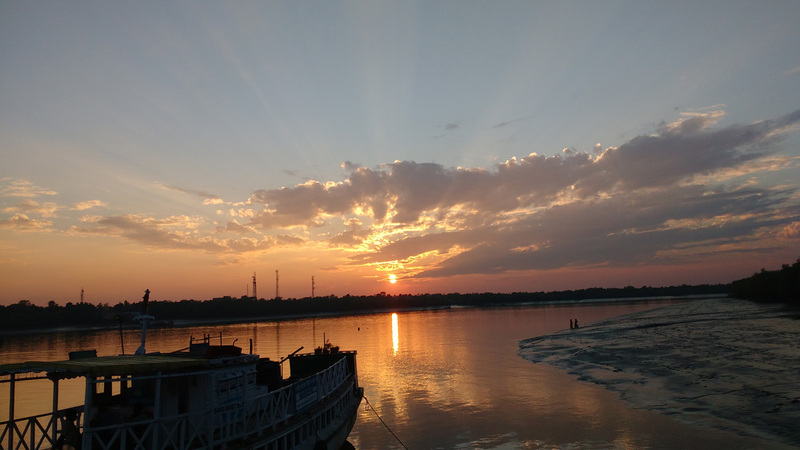 Railways– It is possible to take the local train from Kolkata to Canning and travel by boat thereafter. Road– Travelling by bus to various locations like Namkhana, Canning, Raidighi, Najat, and Sonakhali, is mandatory as the riverine waterways are accessible only from these areas. It is also possible to hire private boats along with an experienced guide. The prices range from Rs 1500-Rs 2000 per day for a boat. Holiday Island famous for the Barking Deers. Sudhanyakhali Watch Tower – An ideal place for tiger sighting. Other wildlife like deers and crocodiles may also be observed. Sajnekhali Pakiralaya – Bird watching center containing 248 species of birds. Sajnekhali Watch Tower – This watch tower also contains a museum, a crocodile park and a Bonobibi Temple within its premises. Bhagbatpur crocodile project – This is a crocodile-breeding farm and the hatchery of the largest estuarine crocodile. Netidhopani – It has a 400-year-old temple. Kanak – Olive Ridley Turtles can be sighted here. It is also possible to visit the nearby villages and chat to the local people about the hardships of living in the Sunderbans. There are a few private resorts apart from the Government lodging facilities like the Sajnekhali Tourist Lodge, available in the Sunderbans. Bookings need to be made from Kolkata and most of them include a sightseeing trip as well. 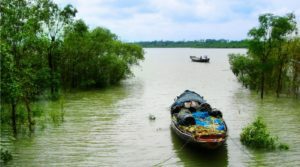 The best season for visiting the Sunderbans is between September and February. The monsoon season is best avoided as the rainwater gets trapped by the trees making it impossible to get around. However, a few International tourists insist on visiting the area in April-may during the peak norwester season. This entry was posted by indispottravel in Jungle Safari in West Bengal, Mangrove in West Bengal, National parks and wildlife sanctuaries in West Bengal, Weekend Destination around Kolkata, West Bengal and tagged attractions around kolkata, biggest mangrove, Crocodiles, forest bungalow, jungle safari in west bengal, mangrove in west bengal, picnic spot in west Bengal, Reserve Forest, royal bengal tiger, tiger, Tiger Reserve Forest, tiger reserve forest in india, West Bengal, wildlife, world heritage sites.